I hope you will recognize why I have adopted the description I was given by an American newspaper: an optimistic realist. Through many years and in many lands I have met men and women who have taken on to use their lives to set right wrongs they encountered starting with themselves. It has been my privilege to tell their stories. You may be encouraged by their experiences and pick up ideas and approaches which you can make use of. You might perhaps even like to buy some books! Let me recommend the FORGIVENESS pages which contain stories related to this subject and its effect in the world. At Reaching out to the other you will find the introduction which I wrote for a French book which refers to what happened in our family that set us off on this journey. The evidence shows that forgiveness is not just a religious or personal matter but a vital ingredient in sound national and international life. This book tells the remarkable story of the deep and lasting friendships that were born out of an extraordinary situation in an era unlike any other. During WWII, thousands of British parents evacuated their children to the United States in order to keep them safe. How did these British children cope with years of separation from their families? How did American host families manage? 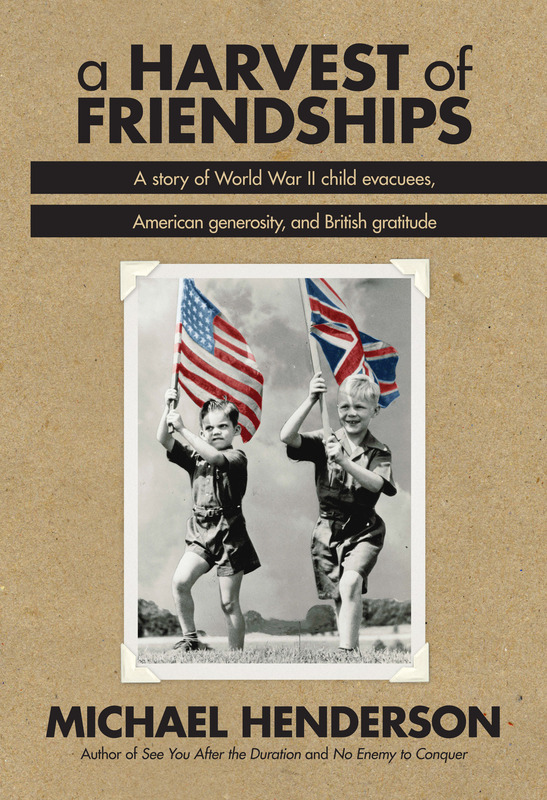 A Harvest of Friendships provides a compelling picture of a little-known side of World War II.